Bryan Hulbert – TULSA, Okla. (December 29, 2017) Through 147 races across two days of racing, the 33rd Lucas Oil Tulsa Shootout is beyond its half-way mark with two days of racing set to get back underway on Saturday, December 30, 2017, at 9:00 A.M. (CT). View full 2017 Tulsa Shootout results from night 2 at the Tulsa Expo Raceway. Of the 147 contested events, 131 was comprised of Heat Races with 1,048 laps of racing yielding 108 different winners with Chase Porter, Chris Andrews, Cole Bodine, and Jason McDougal each atop the win chart with three each. Adding Restricted A-Class Qualifiers and Outlaw Non-Wing C-Features to the mix to reach the now 147 races complete, the total number of race winners comes to 123 with driver from 22 states and Australia having earned at least one win in search of the one that earns a Golden Diller on Sunday night. The 33rd Lucas Oil Tulsa Shootout continues on Saturday, December 30, 2017, with the River Spirit Expo Center opening at 8:00 A.M. and races getting underway at 9:00 A.M. The morning will lead off with the Stock Non-Wing C-Features. Saturday’s schedule of races will see 81 rounds of competition among C-Features, Qualifiers, and B-Features. 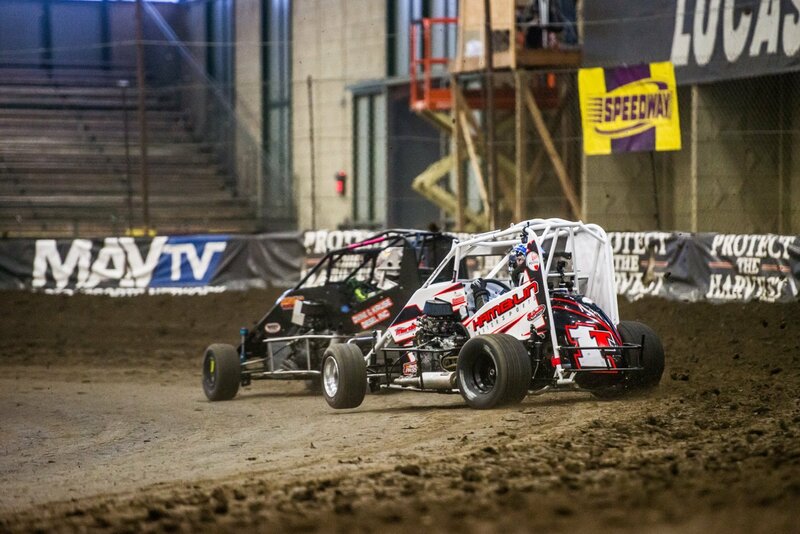 The Tulsa Shootout is located at the Tulsa Expo Raceway, inside the River Spirit Expo Center. Admission for Saturday’s action is only $15 with kids accompanied by an adult admitted free of charge into the Grandstands. For updates throughout the Lucas Oil Tulsa Shootout, log onto http://www.tulsashootout.com, on Facebook, and on Twitter (@TulsaShootout). For those unable to attend, live online PPV can be found at http://www.racinboys.com. ….No. 51, Gary Taylor, light at the scales. …No. 84, Max Roseland, did not have the approved Restrictor Plate.